What are the Planned Giving Benefits? 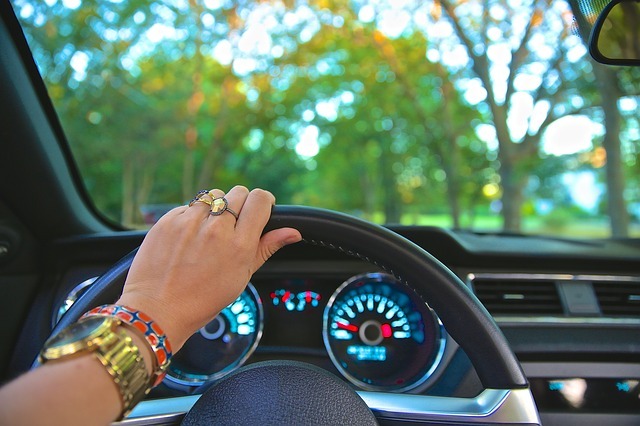 What direction are you steering your nonprofit? Successful nonprofits adjust based on the past, actively work in the present, and strategize for the future. All in a day’s work. Clearly, those three components are much easier to talk about than to execute. If your organization wants to do more than talk, it has to steer its efforts towards programs that account for all three of those past, present, and future efforts. Launching a planned giving program is one such direction your nonprofit can take. A planned gift is a gift that is decided on in the present and given in the future. Supporters who donate planned gifts often allocate them in wills or trusts. Organizations running planned giving programs seek out past donors, make arrangements in the present, and receive the donations in the future. They promote a cycle of giving. And the giving cycle is fruitful for all involved. Even if you feel that starting a planned giving program is intimidating, it will be worth the work. Let me use these three benefits to explain why. A planned gift is a future gift. A donor will not consider donating a planned gift if your nonprofit does not have a long and healthy future ahead of itself. Even just thinking about implementing a planned giving program puts nonprofits in a position where they need to step up and figure out their futures. Taking stock of your organization’s current growth direction should always be welcome. It takes great effort and strategic use of resources to run a successful nonprofit. Sometimes it is easy to get lost in the present. Nonprofits are juggling so many things at once that forecasting what is to come does not always attract much attention. Launching a planned giving program will give your organization no choice. Your fundraisers that will be soliciting planned gifts have to be able to answer questions about the future of the organization if supporters ask them. Major gifts can make or break a nonprofit’s fundraising. Want to know a not-so-secret secret? Planned gifts can match major gifts in size, and they are more universally accessible. Donors who allocate planned gifts do not have to be wealthy. Seeking planned gifts opens your nonprofit up to new large donation possibilities. Planned giving benefit #3 is related to something mentioned in the above point. Wealth is not a limiting factor for planned gifts. There are donors across the country who want to give major-gift-sized donations, but do not have the flexibility in their budgets to do so. Planned giving works around that. Take a donor who has given a series of small gifts for years. The donor comes to events that you host, volunteers to make calls during phonathons, and is always actively praising your nonprofit on social media. That same donor can allocate a gift in her will that leaves her money to your organization when she no longer needs it. In many ways, planned giving is a major gifts equalizer. Now you see why planned giving is such a good idea for nonprofits, let’s delve into why donors would be interested in participating. This benefit is just practical. Donors who go the planned giving route get income and capital gains tax relief, depending on the specifics of the planned gift they allocate. It is win-win-win-win. The tax advantages can get rather complicated, so it is important to make sure that both your organization and the donor are well-informed about the dynamics at play around the gift. Bring someone into the process with the proper expertise. As long as the planned giving program that they choose to donate to has a good system in place, the donors will have control in deciding how their money or other gift is spent. Unlike a standard donation, planned gifts are arranged in a legal contract, be it a will or a trust or other measure. In writing the gift into the contract, the donor takes the wheel. There are obviously boundaries to how the gifts can be allocated, but the donor has much more control of the situation than in an average giving situation. Planned giving programs are commonly called legacy programs. That is a logical extension. Planned gifts are a part of their donors’ legacy. If someone has been a lifetime supporter of your organization, a planned gift is the perfect way to symbolize that relationship for many years into the future. Donors who leave planned gifts are connected to your cause and your mission. They are deeply invested. A planned gift is their way of making a lasting mark. As you can see from the various benefits for both parties involved in planned gifts, the reasons to get on board are plenty. People and organizations are going to seek out planned giving for a variety of reasons, but they will stick around for the benefits listed here. Learn more about planned giving to discover further details regarding its importance.